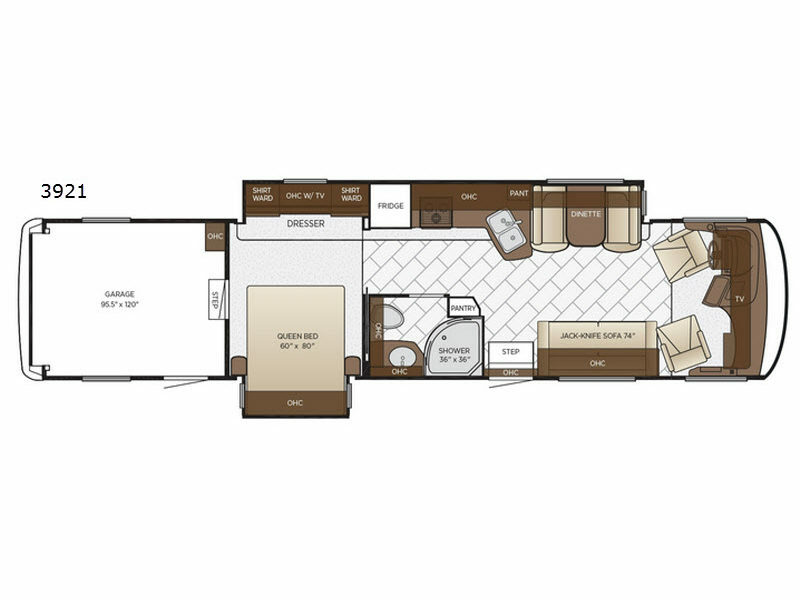 This Newmar Canyon Star class A toy hauler has room for you, your toys, and a few more guests! With a full wall slide out, and a second bedroom slide, you will find this 3921 is the perfect traveling home! In the garage you can store dirt bikes, four wheelers, kayaks, or other outdoor equipment. You will find that this model has two entry doors which gives you easy access into the garage or the main living area. Once you are inside come enjoy your meals at the booth dinette and at night both the dinette and 74" jack knife sofa convert into additional sleeping space for your kids. At night mom and dad can come get a good night's rest at the queen bed.